Spend an out-of-this-world dining experience at Poop Café in Toronto, Canada. It’s name is already giving a smelly hint about things to expect from the place. But don’t panic, it’s just a shape and it still guarantees delicious food that well, just so happen to be shaped like poop. Diners can anticipate an extraordinary swirl on top of every meal. 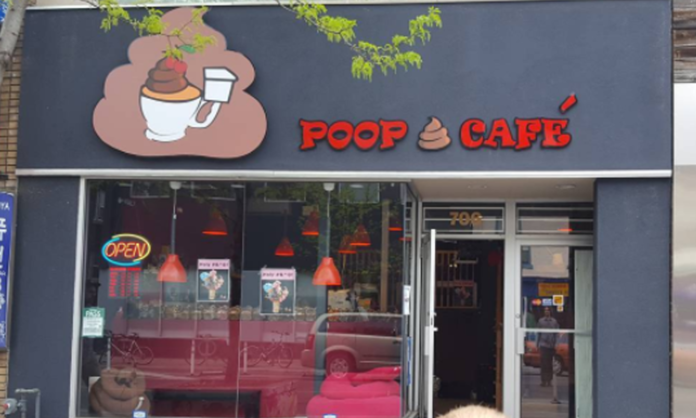 Also, the atmosphere inside the café as well as the utensils are not left behind in carrying the ‘poop theme’. Chairs were strategically transformed into toilet pillows or toilet seats while drinks and coffee are freshly served inside a mini toilet. Imagine how diners will literally eat and sit using the same thing, the toilet. So how about an exotic touch on the first date?